Called out by a frightened country doctor in the dark night of a prairie winter in 1919 to assist with an emergency appendectomy, Dr. Robert Ross travels to an isolated farmhouse where he finds himself entangled in a tragedy. He is immediately caught up in an ethical dilemma where all of his life experiences, values and skills as a physician and surgeon are put to the test. Is he about to become an unwilling accomplice to medical manslaughter? What can he do to prevent the horror that is sure to ensue when another doctor’s incompetence is matched with stubborn pride? Robert was born in northern Quebec in 1871, the son and grandson of Hudson’s Bay Company traders. He grew up in the wilds of Quebec and northern Ontario, becoming an HBC trader himself by the age of seventeen. His survival skills and belief in himself were honed in these years, and he had truly established himself as a lord of the wilderness by the turn of the century. Medical Man begins in 1900 when Robert leaves the HBC to marry and to attend medical school at Queen’s University in Kingston, Ontario. 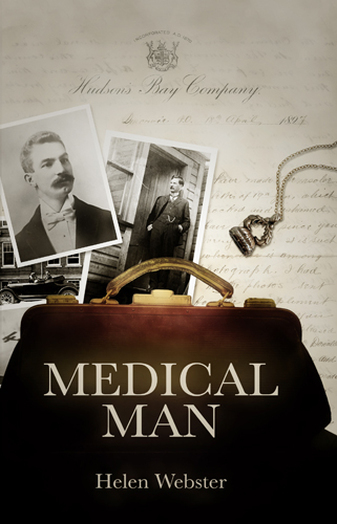 The central theme of this story is Robert's five decade long medical career during a century of remarkable discoveries in medicine that spans an era of powerful events and change in Canadian and World history.